Deleting cache, history and other browser data from Chrome is a simple task. A few clicks and you have full control over your web browsing history and cache. 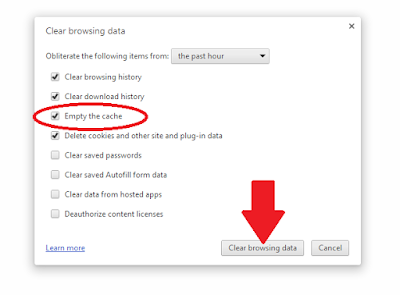 Follow the instructions below and learn how to clear browser cache in Chrome. As you surf the net, websites leave cookies in your browser’s cache. These cookies help the websites load faster when you re-visit their page. However, when you delete the cache in your browser, some websites may take longer to load. This is because the website has to load all the images and pages again. Also, usernames and passwords may also get deleted for some sites. In the Chrome browser, click on the Chrome menu, that is, the three horizontal lines on the upper right hand corner of the browser. A box will appear that says “Cookies and other site and plug-in data” and “Cached images and files”. You can select the amount of data you wish to delete from the drop down menu at the top. You can choose beginning of time and delete all the information stored. Thus, a few clicks will help you clear browser cache in Chrome.